To grow the brand of the Shock-Free Coalition through specific and localized regions that can more effectively develop and manage local advocacy activities in support and coordination of legal strategies. A coordinator will be appointed in each region to help develop and grow the local coalition chapter. Successful applicants will be trained in Shock-Free Coalition brand standards, social media protocols, meeting criteria and local role purpose and branding. Full support will be given from PPG leadership. Be able to remain in the position for a two-year minimum. Have been in business and/or the pet industry for a minimum of three years. Be a PPG member in good standing for a minimum of 12 months. Have no felony convictions or animal abuse/cruelty convictions. Be able to attend one monthly national, and possibly regional, meeting. Arrange and chair a minimum of four meetings annually for the regional coalition chapter using internet conference facilities. Have access to a computer, word processing software and internet services. Be available by phone during normal business hours. Be passionate about the Shock-Free Coalition and the Shock-Free Pledge. Follow brand practices and policies for the Facebook page in terms of logo use, materials posted, and general social media etiquette. Develop a contact list of local media (print, digital and broadcast) to aid with advocacy communication. The local coalition will have access to logos, marketing materials, position statements etc. to help educate their local community. Approved branding materials will be provided in a Google Drive folder for each regional coalition. The use of logos and trademark compliance must be managed by the regional coordinator according to guidelines provided by PPG. Drive local awareness through pledge circulation and signatures. Cross-post and update the regional Facebook Page regularly. Attend, coordinate and/or manage regional events. Sponsor educational events/presentations in the general community or in specific segments of the professional pet care community. 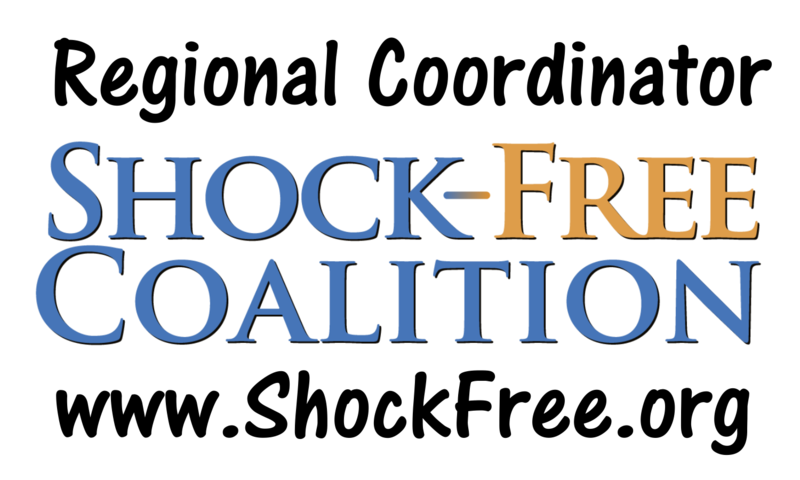 Encourage membership in PPG and support of the Shock-Free Coalition. Distribute corporate news releases when applicable to local media. Complete a very short report each month via an online form detailing local activity.